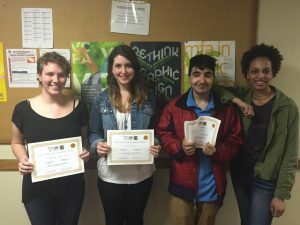 Broadcast Media Production and Filmmaking students competed in the 2016 Freedom & Unity TV Youth Film Competition, wining in several categories including first and second place in the Personal Stories category, and taking home cash awards. 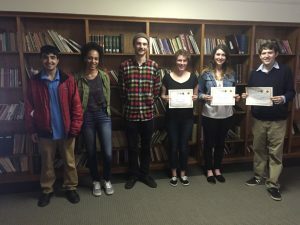 The statewide competition culminated with the First Annual Freedom & Unity TV Youth Film Festival held at the Vermont College of Fine Arts in Montpelier on May 7. Nearly 100 films from across Vermont were submitted to the competition in four categories: Vermont History, Contemporary Issues, Personal Stories, and Arts and Culture. Rhea Hayes and Alex Schlater won first place in the Personal Stories category for Stolen, a piece about social media identity theft. Stolen also received the Judge’s Pick award. Nathan Gobes and Jack Baglivi won second place in the Personal Stories category for Champlain College Climbs Smugglers’ Notch, a story about ice climbing. 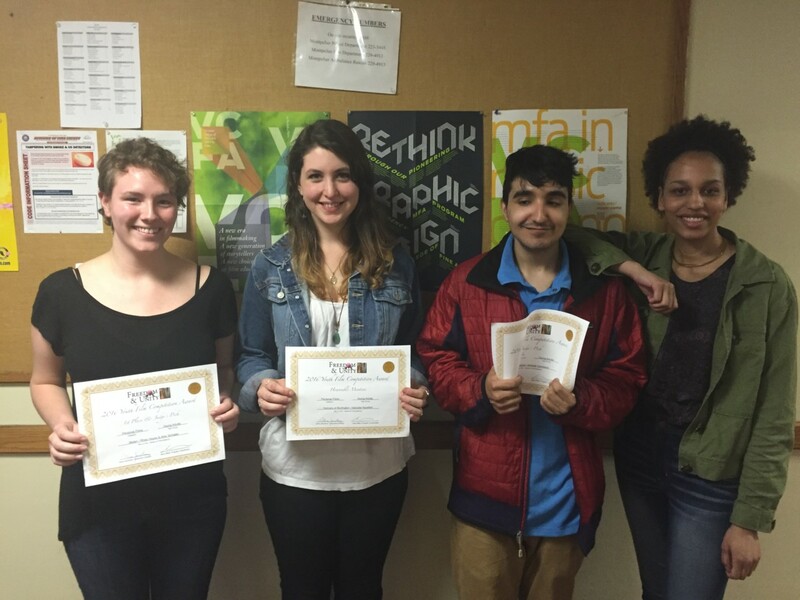 First year filmmaking student, Danielle Hazelton, received honorable mention for Humans of Burlington. Christopher Andrew Camoscio received the Judge’s Picks and the Judge’s Choice Award for SoBo Slacker: Memories From The Trail. Filmmaking Sophomore Christa Bennett was a semi-finalist for her documentary STEM. First year Filmmaking major Anna Steeley, who won last year for her film Race to Vermont, ran the Q&A session at the festival. 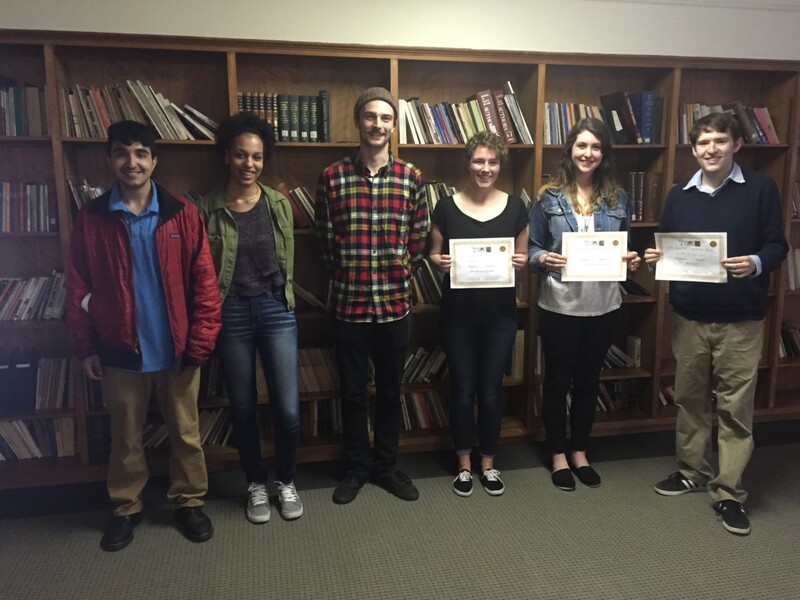 Congratulations to all the Champlain College CCM winners!